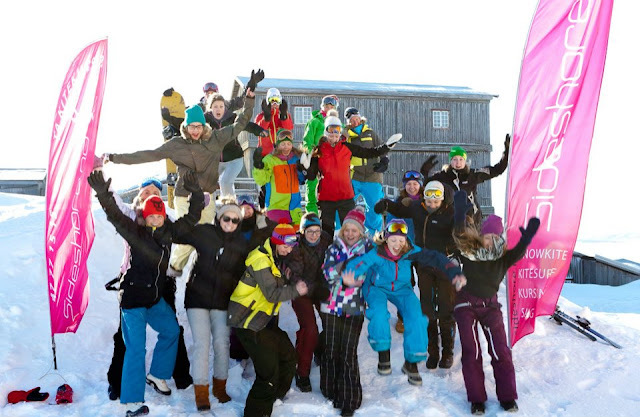 With my car stuffed to the roof with kites, board, sleeping bag and warm clothes I headed for Røros and the very first Sideshore Girls Snowkiting Camp this weekend. In Oslo I picked up my friend Jorun, we stuffed more gear in the car, cranked the music up load and headed north! 21 girls showed up and already Friday afternoon, Storwartz proved to be a brilliant spot.The sun was shining from blue sky and a nice 7-8m/s breeze kicked off our snowkiting weekend and it never stopped. 3 full days of wind and sun, the only thing that would have made the weekend better would have been a few cm of powder.. but hey, you can't have it all! Thanks for a brilliant weekend everyone! It was worth the loooooong drive :) Hope to see you all and more girls on later events! Marte and Thale in fresh colors ready for some kite! 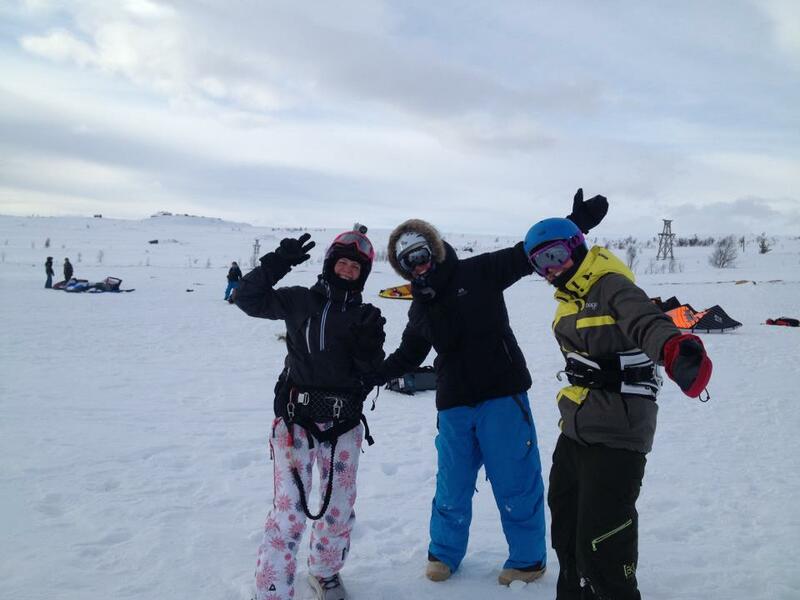 Sideshore's Anne-Sofie arranging this awesome weekend for us! Me and Jorun out with 2x Mr.Green!